Love and Life in Marriage Conference – Celebrating the Church’s vision of sexuality and marriage on the 50th Anniversary of Pope Paul VI’s encyclical Humanae Vitae. No prior registration required. No set fee. Donations will be accepted. Dr Newton is Associate Professor of Theology, Franciscan University of Steubenville, Ohio, USA. He completed his PhD in theology through the John Paul II Institute for Studies of Marriage and Family (CUA, Washington DC). Dr Newton is author of a book on Catholic Social Teaching bearing the title “Civilization of Love: The Catholic Vision for Human Society” (Gracewing Publishing, 2011). 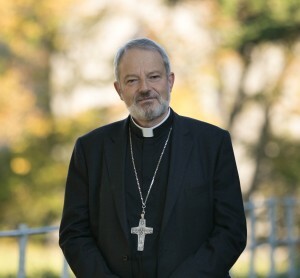 He is also a co-founder of the Aquinas Institute of Ireland. Currently living in Paris, Dr. Meaney is Visiting Lecturer at the International Theological Institute, Vienna, Austria. She received her doctorate and an M. Phil. in Modern Languages from the University of Oxford. She also obtained an M. Phil. in philosophy from the International Academy of Philosophy in Liechtenstein and a D.E.U.G. from the Sorbonne in Paris. She is the author of the booklet “Embracing the Cross of Infertility” which has also come out in Spanish, Hungarian, Croatian and German. Dr Fedoryka is Associate Professor and Chair, Department of Philosophy, Ave Maria University, Florida, USA. She has recently contributed a chapter to the following book: Why Humanae Vitae is Still Right (Ignatius Press, 2018). She has also contributed a lecture – by invitation of Archbishop Charles Chaput – at the April 2018 Symposium on Humanae Vitae “Healing the Wounds in Human Sexuality and Marriage by Embracing God’s Vision for Love and Marriage” (Washington DC).